Today we had a workshop regarding future radar systems specifically focus on co-existents’ of many radar and communication systems within the same spectrum range. The workshop was led by Hans Hellsten (SAAB, and adj. 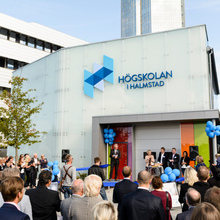 prof. Halmstad University). Except technical challenges the financing of a national radar system research program was initiated. My personal belief is that this technology area is of great importance in the future, especially considering radar in future cars (especially considering autonomous cars) and as an important sensor in many future Internet of Things applications. I really believe that it is utterly important that some of the research funding agencies actually take on this responsibility and fund research activities in this area to preserve existent knowledge and increase the research in the area of radar systems to strengthen Swedish industrial competiveness in a wide range of application areas. Holy Toedol, so glad I clicked on this site first!